We are happy to publish this month a nice classic of the abstracts category: Lines of Action from Claude Soucie, introduced to the gaming public by Sid Sackson's book "A Gamut of Games" in 1969 is now available on Board Game Arena 50 years later! Do you like abstracts? We do! It's a beautiful game category with simple and elegant mechanics, easy to explain but holding great depth that is really rewarding for the players willing to study the game strategies. Lines of Action is one of these games that has a really simple set of material that almost everyone has or can quickly set up from scratch (a chessboard and 24 pieces in 2 colors), and that spreads just by word of mouth from one game night to another as they are just so simple to teach and so nice to play. ~ and a piece can land on an enemy piece to capture it. 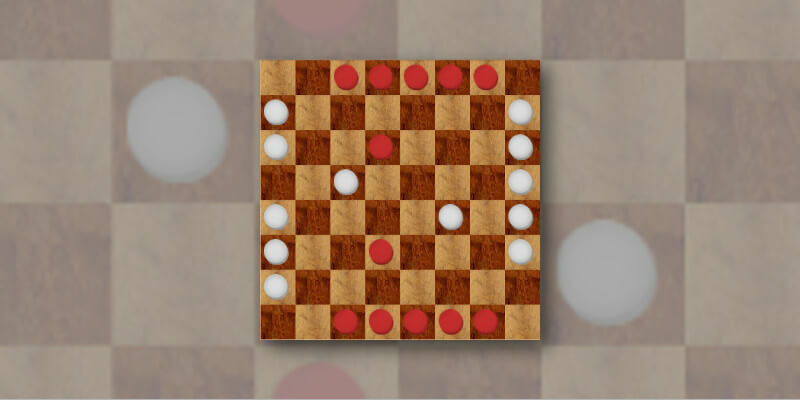 The goal of the game is not to capture all enemy pieces, but to manage to connect all of your pieces together horizontally, vertically or diagonally, while half start on one side of the board, and half on the other side. Those of you who played Alveole will notice similarities... of course! Indeed Alveole is a reimplementation of Lines of Action on an hexagonal board. Other games have been derived from it, but Lines of Action is the original game, and now you can play it! I adore abstract games and I am always happy everytime BGA adds a new one.